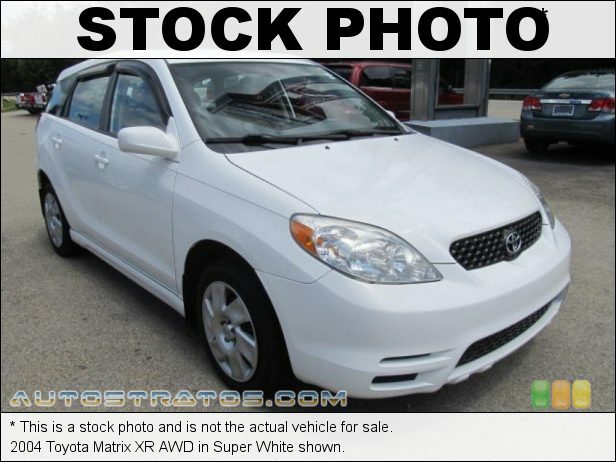 The 2004 Toyota Matrix XR. The XR 1.8 Liter 4 Cylinder gets 170 horses. Upgrading to the XR gets power windows, mirrors, and locks; a remote key fob; and a rear wiper, while the top-of-the-line XR comes with 16-inch alloy wheels, anti-lock breaks, and a 4 Speed Automatic transmission. This XR is All-wheel drive just so you know. Fuel economy is about 29-34 miles per gallon. Drivers like you love the 2004 Matrix for its style, cargo space, and gas mileage. They also appreciate that old reliable Toyota is trying something new with the Matrix. Oh, don't forget the aggressive stance and the race car look to set you apart from the crowd. Print this page and call us NOW for your personalized test drive towards ownership! Make the Classic Choice, at Classic Honda Streetsboro Ohio, for your next pre-owned vehicle purchase. Any questions please call 330-422-7000 and ask to speak with one of our professional and courteous sales people. Feel free to reach out to me (Used Car Manager T.J. Ketchem) directly 440-536-1898 call, text, or email at (tketchem@driveclassic.com).